Paul Fendler has been kind enough to share some video with us that he took of the Andrea Holden Thanksgiving Race on Saturday, 28 November. It’s broken into 4 episodes: the start, the first wave at 3 miles, the second wave, and the third wave. Enjoy! Turkey, Football and … Running! The Turkey Trot seems to have now firmly established itself as a Thanksgiving holiday tradition, and whether it’s the mega-events like Manchester or a small, local community run with 50 runners and walkers, families gather on Thanksgiving morning to share some exercise time, donate to local food pantries, and give thanks that we’re all able to get outside and move. This Thanksgiving, get to your local turkey run (visit our calendar for all of the week’s Cape Cod events) and give it your all. If you can’t get away from the oven or don’t have a run nearby, grab the family and get out the door for a jog or walk … and Happy Thanksgiving from the Cape Cod Athletic Club! In a departure from previous years’ processes, the USATFNE road racing committee is putting the selection of the 2010 Grand Prix races to a popular vote. They have selected 4 potential schedules of races that submitted bids a few weeks ago and now its up to you to decide where and when you want to race. Voting is open from 11 November through 18 November and you must have an active USATF membership number and on-line account. Races range all over New England and include regulars like the New Bedford Half Marathon, returning favorites such as the Bridge of Flowers 10K and the Stowe 8 Miler, and new entrants Westford 5K and the Ronald McDonald House Women’s Classic. 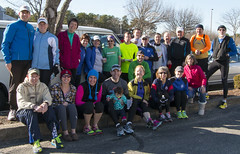 The marathon contest is between Bay State and the Cape Cod Marathon. This is your opportunity to help shape the New England road racing season. The 2010 Boston Marathon is filling rapidly this year – word on the street is that they had only 1800 open slots left of the 25,000 head field limit a few days ago. So if you have your qualifier or your waiver and haven’t gotten around to registering yet, it’s time to get on it. Management expects the marathon to be filled by Thanksgiving. > The 2009-2010 Grand Prix schedule has been firmed up and directions will be posted in the next two weeks. Seven races are on the calendar with a potential eighth ‘extra-credit’ race. 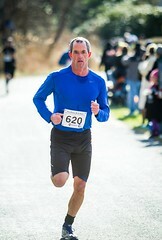 > Bill Masterson will be headed to Ireland for the Ballycotton 10 Miler in March. 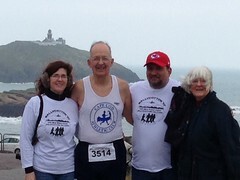 Application requests are due to the Ballycotton race organizers in November and applications must be submitted by January. Contact Bill for more information. > Pete Stringer will be making his annual trans-Cape 50 mile excursion on 11 December, weather permitting, in support of Big Brothers Big Sisters of Cape Cod. Cheer him on and make those donations! > The club has a limited number of 2010 Boston Marathon waivers available. In order to qualify for a waiver, you must 1) be an active club member; 2) be actively involved in club activities; and 3) have already, or be willing to, volunteer at a club supported event. If you’d like to apply, send your information to ccac@capecodathleticclub.org. And hurry! The marathon is expected to fill rapidly this year. 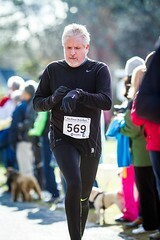 > We’re actively recruiting to fill teams for the 13 Relay and the Nantucket Iron Teams in 2010. If you’re interested in running for the CCAC, e-mail us. Team members score club singlets and partial entry fee reimbursement per the club team policy. > The 2009-2010 USAT National Challenge Competition is gearing up for kickoff on 1 December and our club is registered and ready to go! 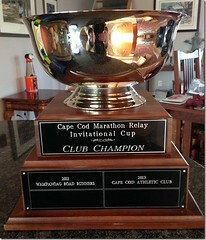 If you’d like to participate, send your USAT member number and birth date to ccac@capecodathleticclub.org. Then log those miles of swimming, biking and running, send them in on a semi-regular basis, and watch our team climb the charts. The challenge lays a great foundation for the 2010 racing season and gets you out of bed on those chilly winter mornings. Celebrate World Run Day on 8 November with runners from all over the world. Created in 1999, World Run Day strives to promote running and charitable giving through individual efforts and group events. Once you register on the World Run Day site, you’ll get a t-shirt and be logged as a participant in an event that spans the globe. Plus, you get to choose the charity that your donation supports. So grab the kids, your boyfriends and girlfriends and get out on the trails, roads, or fields on Sunday, 8 November, in celebration of World Run Day 2009.